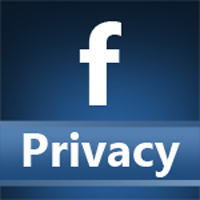 According to the results of the July 2013 American Customer Satisfaction Index (ACSI) E-Business Report, Facebook users are tired of both the advertising on the site and the perceived lack of privacy protections it offers. 27 percent of users who responded to the survey said that Facebook’s advertising gets in the way of their use of the site while users’ confidence in Facebook’s protection of their data scored only four out of ten. Facebook’s total score in the survey was actually up from last year, though it still finished in the bottom two spots this year. Though users clearly dislike Facebook’s attempts to monetize the site with invasive targeted News Feed advertising and even its offer to select users of free Wi-Fi Internet access in exchange for their geolocation data, it’s clear that Facebook’s ads aren’t going anywhere. As for user trust, the site was rocked by the high-profile NSA wiretapping scandal in recent months and general discontent with the site’s privacy practices continues to bubble over. While Facebook has taken steps to address user concerns, this study makes it clear that those concerns are still very much present.